Squaring off against NBC’s Game One of the Stanley Cup Finals instead of the finale of The Voice, ABC’s The Bachelorette added a bit of ratings punch to its second two-hour episode on Memorial Day night. Aided by a local angle in rose-peddler Rachel Lindsay (a Dallas attorney), The Bachelorette won its 7 to 9 p.m. slot in both total D-FW viewers (152,693) and advertiser-prized 18-to-49-year-olds (54,521). Game One of the Stanley Cup between the Pittsburgh Penguins and Nashville Predators averaged just 65,440 total viewers. But a nice-sized chunk of them were 18-to-49-year-olds (38,485). ABC’s 9 p.m. premiere of Still Star-Crossed dipped to 65,440 total viewers, with 22,450 within the 18-to-49 age range. On Sunday, the final round of the Colonial PGA tournament, with Dallasite Jordan Spieth in contention to the end, peaked at a very smallish 109,067 total viewers between 4:30 and 4:45 p.m. CBS’ entire three-hour telecast averaged 87,263 viewers. Just 25,657 were within the 18-to-49-year-old motherlode. Here are Friday’s local news derby numbers, (with all but TEGNA8 then taking a Memorial Day holiday exemption for their 6 a.m. and 5, 6 and 10 p.m. newscasts). Fox4 won at 6 a.m. in total viewers but NBC5 had the edge among 25-to-54-year-olds. The Peacock also ran the table at 6 p.m., drew the most total viewers at 5 p.m. and tied Fox4 for the spot at that hour in the 25-to-54 realm. Fox4/NBC5 again score the most newscast wins while TEGNA8 retains 10 p.m. total viewers crown in tightly fought May "sweeps"
The May “sweeps” newscast spoils again were split among three stations, but with the victory margins thinner compared to a year ago while audiences continued to fall off. Fox4 repeated its 6 a.m. sweep and also again won at 10 p.m. in the key 25-to-54-year-old demographic (main advertiser target audience for news programming). NBC5 had twin wins at 5 and 6 p.m., while TEGNA8’s lone victory was a defense of last May’s 10 p.m. title in total viewers. CBS11 again went scoreless, particularly with 25-to-54-year-olds. But the station came close to outpointing TEGNA8 in total viewers at 10 p.m. and might well have done so had the CBS network saved some of its big season finales for the final six days of the sweeps instead of exhausting most of its ammunition by mid-May. More than its rivals, CBS11 is dependent on sizable 9 p.m. network lead-ins to goose the ratings for its late night newscasts. Here are the complete May 2017 sweeps results in total viewers and 25-to-54-year-olds, with year-to-year audience losses or gains in parentheses. Comments: Across-the-board shortfalls in the bread-buttering 25-to-54 age range mark the second straight year that’s happened. And CBS11 was the only station to show an increase from May 2016 in total viewers. The weather didn’t “cooperate.” It again was relatively uneventful compared to May 2015, when all four stations got ratings bumps from stormy skies. TEGNA8 deserves some credit for trying to differentiate itself with longer-form “Original” stories throughout the sweeps. But some of them were too gimmicky, and the station soiled itself down the stretch by paying a highly questionable source for secret audio tapes tied to alleged absentee voter fraud. NBC5 and CBS11 also were pitched the same “story,” but didn’t bite. Comments: It was the same order of finish as last year in both ratings measurements. Still, TEGNA8 flashed a little momentum after getting off to a fast start while CBS11 made smaller year-to-year gains while still running far out of the money. Fox4 remains in charge, but its grip loosened, particularly in total viewers. Comments: -- The 6 p.m. race among 25-to-54-year-olds had to be extended to an extra ratings decimal to determine a winner. It was that close (1.11 to 1.07). But Fox4 also can claim at least a moral victory after trailing NBC5 by almost 19,000 viewers a year ago. On the other hand, Fox4 hemorrhaged total viewers, falling from third place last year to last place this time out. Comments: Pee-yew, particularly in the 25-to-54-year-old demographic, where all four stations again had diminishing returns. Fox4 had the worst time of it in both measurements while still managing a second place finish among 25-to-54-year-olds. But in a D-FW market with a population of 3,006,700 viewers in the 25-to-54 age range, the four stations managed to collectively lure only 99,221 of them to their early evening newscasts. ***NBC5 won the three-way local newscast race at 4 p.m. in both ratings measurements. Fox4’s double dose of the syndicated Judge Judy edged the Peacock in total viewers but trailed among 25-to-54-year-olds. ***TEGNA8’s Good Morning Texas continues to more than pay for itself with built-in pay-for-play mini-infomercials. Otherwise, the program ran fourth in total viewers in the 9 a.m. hour (with the third hour of NBC’s Today on top). In the 18-to-49-year-old demographic (main advertiser target audience for entertainment programming), GMT moved up to third place from 9 to 9:30 a.m., nipping CBS’ competing Let’s Make a Deal. GMT then slipped to fourth from 9:30 to 10 a.m., with Deal barely in third. ***The venerable Wheel of Fortune, now in its 108th season (heh-heh), again easily won the 6:30 p.m. slot in total viewers against the competing syndicated rag mags on Fox4, NBC5 and TEGNA8. Pat and Vanna also held their own with 18-to-49-year-olds, tying NBC5’s Extra for the top spot. ***CBS’ Trump-bashing Late Show with Stephen Colbert tied Jimmy Fallon’s Tonight Show in total viewers, with ABC’s Jimmy Kimmel Live close behind. But Colbert fell to third place with 18-to-49-year-olds, although he wasn’t far behind Fallon and Kimmel. NBC’s two-hour season finale of The Voice throttled ABC’s latest two-and-a-half-hour Dancing with the Stars ender in their Tuesday night face-off. The Voice, won by a dude named Chris Blue, pulled in 283,573 D-FW viewers while DWTS had 189,049 and also was beaten from 8 to 9 p.m. by CBS’ new episode of Bull (218,133 viewers). The Mirror Ball trophy went to NFL running back Rashad Jennings and his pro partner, Emma Slater. The Voice crushed DWTS in the advertiser-coveted 18-to-49-year-old demographic by a score of 73,763 viewers to 19,243. DWTS also was whipped by Bull, Fox’s Prison Break, Fox4’s 9 p.m. local newscast and the second half-hour of The CW’s The Flash. But now let’s get to ABC’s Downward Dog, whose second episode beat all competing broadcast network programming from 7 to 7:30 p.m. in the key 18-to-49-year-old range while drawing almost twice as many viewers (35,278) as DWTS. The talking, philosophical mutt and his oft-vexed owner (played by former Dallasite Allison Tolman) ran second in total viewers with 138,151 compared to 218,133 for CBS’ first half-hour of an NCIS repeat. Both are major improvements over Downward Dog’s feeble numbers last Wednesday, when it was sneak-previewed following the season finale of Modern Family. Good boy. NBC5 and TEGNA8 tied for the lead in total viewers at 10 p.m. while Fox4 won fairly comfortably with 25-to-54-year-olds (the main advertiser target audience for news programming). It was otherwise a day of sweeps within the sweeps. Fox4 cruised to twin wins at 6 a.m. and NBC5 dominated at 5 and 6 p.m. in both ratings measurements. It’s been a long, winding, bumpy road for NBC5’s lead investigative reporter and his behind-the-scenes teammates. 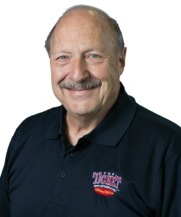 Scott Friedman has been the face of Big Buses, Bigger Problems for the past six months, working full-time since last fall on “one of the more complex stories that I’ve ever been involved with,” he says in a telephone interview. NBC5 is giving Friedman, producer Eva Parks and photojournalist Jose Sanchez an extended showcase on Wednesday, May 24th. The station is bumping the syndicated Extra in favor of a half-hour of hard news in the 6:30 to 7 p.m. slot. Those with an inclination to overwhelm the station’s “switchboard” might want to think twice and buckle in. These are the kinds of stories and investments that local TV news operations should be making in the interest of “differentiating” themselves rather than succumbing to the latest health scare, diet regimen or neighborhood crime scene. NBC5 vice president of news Mark Ginther says that Friedman and his team have done close to 60 stories on what appear to be serious problems and possibly corruption within Dallas County Schools, the taxpayer-bankrolled agency in charge of the daily transportation of 75,000 North Texas students. The half-hour special, which will be hosted by Friedman and anchors Brian Curtis and Meredith Land, further investigates a highly questionable land deal that could end in the dissolution of the 171-year-old DCS. “There are a lot of twists and turns to this whole web,” Friedman adds. Officials in charge of the DCS typically have spurned his advances, refusing to comment on-camera. But the State Legislature lately has taken an avid interest in what Friedman has uncovered, with Senate and House committees both voting to shut down the DCS. Passage by the full body still hangs in the balance. NBC5 will rebroadcast Big Buses, Bigger Problems : The Land Deal on Saturday, May 27th, again at 6:30 p.m. The station’s nbcdfw web page has an exhaustive chronology of how this investigation began and where it might be going. You can dive in right here. Dallas attorney Rachel Lindsay, first African-American star of ABC’s The Bachelorette, began sifting through her gaggle of men Monday night. The D-FW Nielsen ratings were slow on the draw, at least in total viewers. But the numbers picked up among advertiser-prized 18-to-49-year-olds. Airing from 8 to 10 p.m., The Bachelorette averaged 130,880 total viewers after inheriting 319,928 from the closing 15 minutes of Dancing with the Stars. That was good enough to beat Fox’s 8 p.m. episode of Lucifer, but nothing else among competing attractions on the Big Four broadcast networks. The top draw, NBC’s second hour of The Voice, pulled in 312,657 viewers after narrowly losing to DWTS with its opening hour. In the 18-to-49 numbers,The Bachelorette perked up and outdrew everything except The Voice and Fox4’s 9 p.m. local newscast. Overall, The Bachelorette averaged 51,314 viewers in this key demographic, but the audience fell off for the show’s rose-peddling second hour. Here are the local news derby results for the 18th weekday of the May ratings “sweeps,” which end this Wednesday. TEGNA8 all but locked up a 10 p.m. win in total viewers with its fourth straight first-place finish. Only a total collapse would knock the station from that perch. TEGNA8 also won among 25-to-54-year-olds (main advertiser target audience for news programming). Fox4 notched another pair of 6 a.m. wins and NBC5 stayed strong in the early evening with sweeps at both 5 and 6 p.m. The weekend’s big upset wasn’t just on the Preakness track. NBC’s telecast of the Triple Crown’s second leg also outdrew CBS’ climactic 15 minutes of the homegrown Byron Nelson golf tournament over the weekend. The 10-horse Preakness field went off at 5:51 p.m. Saturday, with longshot Cloud Computing nipping one of the favorites, Classic Empire, while Kentucky Derby champ Always Dreaming faded to eighth. Nielsen Media Research measures in 15-minute increments. And from 5:45 to 6 p.m., ratings for the Preakness peaked at 174,506 D-FW viewers. On Sunday, Billy Horschel beat Jason Day on the first playoff hole at the Byron Nelson. Their match ended just a few second before 6 p.m. From 5:45 to 6 p.m., ratings peaked at 159,964 viewers. In Sunday’s prime-time Nielsens, ABC’s three-hour Billboard Music Awards topped all TV attractions with 189,049 viewers and 86,592 in the advertiser-prized 18-to-49-year-old age range. The Texas Rangers’ Sunday night road win at Detroit on ESPN’s featured game finished a close second in total viewers with 174,506. Friday’s prime-time ratings leaders were CBS’ 7 p.m. hour of Undercover Boss in total viewers (159,964) and NBC’s 8 to 10 p.m. edition of Dateline in the 18-to-49 demographic (41,692). On Thursday night, Fox4’s 9 p.m. local newscast was the top draw in both measurements, with 232,675 total viewers and 70,556 in the 18-to-49-year-old realm. Here are the Thursday/Friday local news derby results for the 16th and 17th weekdays of the May ratings “sweeps,” which end this Wednesday. Thursday -- TEGNA8 drew the most total viewers at 10 p.m. while Fox4 news won with 25-to-54-year-olds (main advertiser target audience for news programming). NBC5 ran first in total viewers at 6 a.m., but Fox 4 was tops with 25-to-54-year-olds. The Peacock enjoyed ratings sweeps at both 5 and 6 p.m.
Friday -- TEGNA8 swept the 10 p.m. competitions and Fox4 did likewise at 6 a.m.
NBC5 and TEGNA8 shared the total viewers lead at 6 p.m., but Fox4 had the edge with 25-to-54-year-olds while CBS11 registered “hashmarks” (no measurable audience). NBC5 again had twin wins at 5 p.m.
TEGNA8 reporter Jason Whitely & news director Carolyn Mungo. TEGNA8’s heavily touted series of stories on alleged absentee voter fraud in Dallas County elections became tainted Friday when The Dallas Morning News published a front page story saying that the station’s whistleblower also is a “person of interest” under investigation and that the Dallas-based ABC affiliate paid him for exclusive rights to audio recordings. Respected reporter Jason Whitely is not named in the lengthy piece by Naomi Martin (with contributions by Robert Wilonsky). But he’s been the point man for the ongoing series, which is airing during the competitive May “sweeps” ratings period. 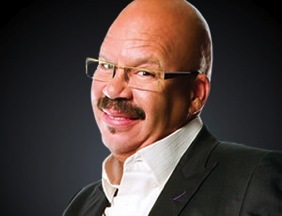 The station so far has made no mention on the air of its payments to Sidney Williams, whose secret recordings have fingered another man, Jose Barrientos, as the primary perpetrator of voter fraud. Barrientos has denied any wrongdoing and claims there’s an ongoing “witch hunt” directed at him. From a television criticism perspective, it’s an ethical misdemeanor at best to pay sources for information. But it’s appreciably worse not to disclose such payments. Or to belatedly claim they’re something other than what they were. Williams told The News that TEGNA8 paid him $2,500 for the tapes under the provision that he not share them with anyone else. The News said he showed the paper a $1,000 contract with TEGNA8 but declined to show another contract that allegedly showed the station paying an additional $1,500. TEGNA8 news director Carolyn Mungo termed the station’s payments a “licensing fee,” but for less than the $2,500 that Williams is claiming. A source at rival CBS11 said the station was pitched the same story, but declined after learning it had a price tag attached. Williams has a minimal criminal record, but in 2007 was sentenced to 75 days in jail for misdemeanor theft, The News reported. He also pled guilty later that year for knowingly filing a false official report in Bexar County, the paper said. Mungo does not talk to this reporter, and in fact sometimes steers interviews with station personnel to Fort Worth’s Star-Telegram after unclebarky.com makes inquiries, according to sources at TEGNA8. 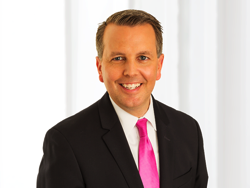 The station has a “content sharing” arrangement with the Star-Telegram, as does The News with NBC5, which regularly features several of the paper’s reporters in on-air segments. TEGNA8 is locked in a tight “sweeps” battle for first place in total viewers at 10 p.m. Through the first 16 of 20 weekdays measured by Nielsen Media Research, TEGNA8 is averaging 159,964 viewers per newscast, with CBS11 (152,693) and NBC5 (145,422) close behind. Among 25-to-54-year-olds (the main advertiser target audience for news programming), TEGNA8 also is in the thick of it. Fox4 leads with 45,101 viewers, followed by TEGNA8 (42,094) and NBC5 (39,087). It did better in the national Nielsens, but ABC’s Wednesday night sneak preview of Downward Dog got treated like rabies by D-FW viewers. The critically praised saga of Martin the philosophical talking mutt and his owner, Nan (Baylor grad and former Dallasite Allison Tolman from Fargo) ran a distant last among the Big Four broadcast networks following a lead-in from the season finale of Modern Family. DD drew just 72,711 total viewers and a measly 9,621 in the advertiser-prized 18-to-49 age range. Prime-time’s overall top dog, Fox’s 8 p.m. hour of Empire, had 232,675 total viewers and 115,456 in the 18-to-49 demographic. Here are Wednesday’s local news derby results for the 15th weekday of the May “sweeps” ratings period. TEGNA8 won at 10 p.m. in total viewers while Fox4 ran first among 25-to-54-year-olds (main advertiser target audience for news programming). Fox4 and NBC5 shared the 6 a.m. lead in total viewers, but Fox4 won outright with 25-to-54-year-olds. NBC5 swept the 5 p.m. competitions. At 6 p.m., CBS11 pulled in the most total viewers; Fox4 and TEGNA8 shared the 25-to-54 gold. The latest NCIS season finale as usual topped all D-FW programming in total viewers Tuesday while also setting up CBS’ two following crime dramas for time slot wins. NCIS drew 349,013 viewers in handily defeating NBC’s competing hour of The Voice (276,308). Bull (276,302 viewers) and NCIS: New Orleans (254,489) then breezed to wins from 8 to 10 p.m. The advertiser-prized 18-to-49-year-old demographic again told a different story. The Voice won from 7 to 8 p.m. with 73,763 viewers before the Peacock’s first of two Great News episodes led from 8 to 8:30 p.m. with 57,728. Fox’s second half-hour of Prison Break then took over with 48,107 viewers in this key audience measurement before Fox4’s 9 p.m. local newscast pulled in 36,561 viewers to scratch out a narrow win over NCIS: New Orleans (34,637 viewers). ABC’s 9 p.m. attraction, Marvel’s Agents of S.H.I.E.L.D., typically bottomed out with just 9,621 viewers in the 18-to-49 motherlode. For whatever reason, ABC has renewed it for another season anyway. One of Marvel’s innumerable superheroes must have super duper mind-melding power. Or perhaps just incriminating pictures. CBS11 remained in contention for a big morale-boosting 10 p.m. win by placing first in total viewers while TEGNA8 overcame the skimpy S.H.I.E.L.D. lead-in to win with 25-to-54-year-olds (main advertiser target audience for news programming). Fox4 swept the 6 a.m. competitions and NBC5 likewise ran the table at 5 p.m. The 6 p.m. golds went to the Peacock in total viewers TEGNA8 in the 25-to-54 realm. ABC’s Dancing with the Stars bested The Voice in total D-FW viewers for the second straight Monday before again “skewing old” with a vengeance. From 7 to 9 p.m., DWTS pulled in 247,217 viewers, with The Voice close behind (239,946). But it was another slaughterhouse among advertiser-prized 18-to-49-year-olds, with The Voice drawing 76,970 to just 25,657 for DWTS. In the 9 p.m. hour, CBS’ Scorpion had the most total viewers (218,133) and NBC’s The Wall prevailed with 18-to-49-year-olds (41,692). CBS11 won at 10 p.m. in total viewers, but TEGNA8 drew the most 25-to-54-year-olds (main advertiser target audience for news programming). The spoils also were split at 6 a.m., with Fox4 running first in total viewers and NBC5 on top with 25-to-54-year-olds. NCIS: Los Angeles, getting a big second wind on Sunday nights, led all of D-FW’s weekend TV attractions in total viewers while ABC’s afternoon Game 1 of the Golden State Warriors-San Antonio Spurs Western Conference finals easily won among advertiser-coveted 18-to-49-year-olds. NCIS: LA totaled 261,760 viewers after inheriting 210,862 from the network’s 60 Minutes. But both programs otherwise again “skewed old” and were whipped in the 18-to-49 motherlode by Warriors-Spurs (83,385 viewers). The Spurs had built up a 23-point second half lead on Golden State’s home floor when their principal star, Kawhi Leonard, left the game after re-injuring his ankle. Absent Leonard, the Spurs deflated and ended up losing by two points in a down-to-the-wire thriller. Fox offered the two-hour Miss USA pageant Sunday night. It drew just 72,711 total viewers and 25,657 in the 18-to-49 age range. On Friday night, CBS’ 8 p.m. episode of Hawaii Five-0 led all prime-time programming in total viewers with 203,591. It also edged ABC’s competing Shark Tank (renewed for a ninth season Monday) for that night’s overall lead among 18-to-49-year-olds. TEGNA8 won in total viewers at 10 p.m., with CBS11 a close second. NBC5 comfortably led among 25-to-54-year-olds (main advertiser target audience for news programming). Fox4 remained in total control of the 6 a.m. competitions with another sweep. TEGNA8 enjoyed a prosperous early evening, running the table at 6 p.m. and drawing the most total viewers at 5 p.m. NBC5 won with 25-to-54-year-olds at 5 p.m.
CBS11 adds reporter MaryAnn Martinez; ex-WFAA anchor/reporter Debbie Denmon is now with the Home Shopping Network. 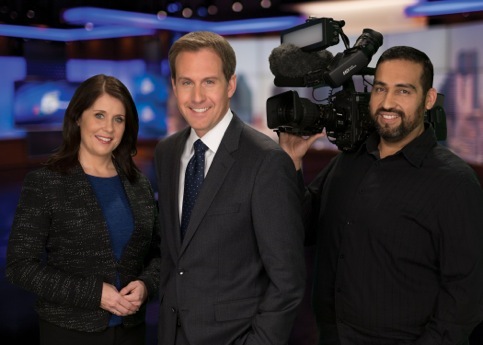 CBS11 has hired reporter MaryAnn Martinez (left/above), who joins the station from Fox-owned KTTV-TV in Los Angeles, where she barely stopped long enough for a cup of coffee and a scone. 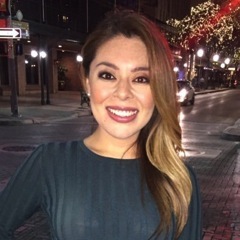 Martinez, who joins CBS11 on Monday, May 15th, left San Antonio’s KENS-TV for KTTV in mid-March of this year. “It’s definitely going to be an adventure,” she told San Antonio Express-News TV writer Jeanne Jakle at the time. But the Baylor University graduate only freelanced for KTTV, CBS11 director of communications Lori Conrad said Friday. So after a little over two years with KENS and a little under two months with KTTV, she’s back in her native Texas. Martinez also has worked at TV stations in El Paso, Miami, Las Vegas and San Diego. She was a nightside reporter with KENS. ***Debbie Denmon spent 12 years at WFAA before the station declined to renew her contract in July of 2012. She was dropped after losing a discrimination suit filed against the station, which was then owned by Dallas-based Belo Corp. It’s now run from afar by TEGNA. Denmon since got married and for a while was director of communications for the Dallas District Attorney’s office. 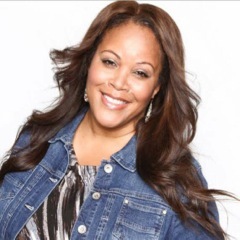 She’s now newly in St. Petersburg, FL as an on-air personality for the Home Shopping Network. “It’s a great opportunity for me that marries two of my favorite things -- TV and shopping,” she said in a message to unclebarky.com. Denmon said that her husband, Richard Greagor, and their son, Kingston, will be joining her when the school year is completed. CBS’ latest season finale of The Big Bang Theory topped all Thursday programming as usual before the Texas Rangers came alive and won prime-time’s closing hour. BB drew 334,471 D-FW viewers and also paced all TV attractions in the advertiser-prized 18-to-49-year-old age range with 102,627. A 7:30 p.m., a BB repeat won its time slot in total viewers (225,404) but was beaten by the second half-hour of ABC’s Grey’s Anatomy among 18-to-49ers (67,349). CBS’ Mom took the 8 to 8:30 p.m. slot in total viewers (218,133) before the network’s Life In Pieces fell to second place behind the closing half of NBC’s Chicago Med (189,049). But Life In Pieces won its slot with 18-to-49-year-olds while Mom was runner-up to the first half-hour of ABC’s Scandal. The Texas Rangers’ walk off home win against San Diego, capped by Mike Napoli’s three-run homer, rose up to take the 9 p.m. hour in total viewers (174,506) while also nipping CBS’ The Amazing Race for the top spot with 18-to-49-year-olds (38,485). TEGNA8 drew the most total viewers at 10 p.m. but Fox4 was narrowly No. 1 among 25-to-54-year-olds (main advertiser target audience for news programming). Fox4 racked up another pair of 6 a.m. wins and TEGNA8 likewise swept the 6 p.m. competitions. The 5 p.m. golds went to NBC5 in total viewers and Fox4 in the 25-to-54 realm. CBS11 has been wandering in the ratings desert for several ratings “sweeps” periods, with a nary a glimmer of hope anywhere. There now appears to be a glimmer. The station has won or tied for the 10 p.m. top spot in total viewers for three straight weeknights. And at the midpoint of May’s warfare, CBS11 has five wins in 10 tries, with 10 more weeknights remaining. Without question, the station has benefited from generally strong CBS network “lead-ins” at 9 p.m. But all four combatants usually excel when given such boosts. The bottom could still fall out for CBS11, which otherwise has no chance at all to win at 10 p.m. among 25-to-54-year-olds (the main advertiser target audience for news programming). But for now, the station is very much in the total viewers game, with a win still somewhat unlikely but certainly possible. We’ll get to the full local news derby results in just a bit. But first, a brief look at prime-time. Fox’s Empire isn’t nearly the juggernaut it was during its first two seasons. But a new 8 p.m. episode still had enough juice to rank as Wednesday’s No. 1 attraction in both total viewers (225,404) and advertiser-craved 18-to-49-year-olds (96,213). Tuesday’s prime-time pacesetter in total viewers again was CBS’ NCIS with 334,471. NBC’s competing The Voice led all prime-time programming in the 18-to-49-year-old realm with 70,556 viewers. Tuesday -- CBS11 cashed in on a bounteous lead-in from NCIS: New Orleans to win by a significant margin at 10 p.m. in total viewers. TEGNA8 edged Fox4 for the top spot with 25-to-54-year-olds. Fox4 continued to cruise at 6 a.m. with two more wins. The spoils were split at 5 and 6 p.m., with NBC5 winning at both hours in total viewers while Fox4 ran first among 25-to-54-year-olds. Wednesday -- TEGNA8 and CBS11 shared first place at 10 p.m. in total viewers. But here’s where there could be additional hope for CBS11. The station grabbed a share of first place despite getting the worst lead-in among the four stations from CBS’ 9 p.m. episode of Criminal Minds: Beyond Borders. Fox4 won solidly at 10 p.m. in the 25-to-54 demographic. Fox4 also cashed in two more 6 a.m. wins and ran first at both 5 and 6 p.m. among 25-to-54-year-olds. NBC5 drew the most total viewers at 5 p.m. and TEGNA8 took the 6 p.m. gold in that measurement. On most Mondays, NBC’s The Voice both out-shouts and outdraws the semi-celebrity hoofers on ABC’s Dancing with the Stars. Not this time. DWTS fox-trotted past The Voice by a half-step in D-FW’s total viewers Nielsens, winning by a 247,217 to 239,946 score. It otherwise was business as usual among advertiser-craved 18-to-49-year-olds, with The Voice luring 76,970 to DWTS’s 35,278. The closing 9 p.m. hour of prime-time was won by CBS’ Scorpion in total viewers (203,591) and NBC’s The Wall in the 18-to-49 motherlode (57,728). The struggling Texas Rangers, who dropped another late night road game, this time at San Diego, continued to languish on Fox Sports Southwest with 79,982 total viewers and 16,036 in the 18-to-49 realm. CBS11 edged NBC5 for the top spot in total viewers at 10 p.m. while Fox4 won among 25-to-54-year-olds (main advertiser target audience for news programming). Fox4 had twin wins at 6 a.m. and TEGNA8 ran the table at 6 p.m.
Fox4 and TEGNA8 tied for the most total viewers at 5 p.m., with Fox4 alone on top with 25-to-54-year-olds. Following the usual interminable NBC buildup, the Kentucky Derby finally sprang into action at 5:52 p.m. Saturday and ended two minutes later. During the applicable 15-minute window measured by Nielsen Media Research -- 5:45 to 6 p.m. -- the win by Always Dreaming drew 327,200 D-FW viewers to rank as the weekend’s most-watched TV attraction. A rather smallish number of those viewers -- 86,592 -- were within the advertiser-coveted 18-to-49 age range. But that was still the weekend’s top haul. On Sunday night, CBS’ 7 p.m. episode of NCIS: Los Angeles led all prime-time programming in total viewers with 283,573. NBC’s competing Little Big Shots ranked No. 1 among 18-to-49-year-olds (73,763). ABC’s The Last 100 Days of Diana, which ran from 8 to 10 p.m., performed solidly among total viewers with 189,049. It was beaten by CBS’ Madam Secretary (218,133) in the first hour but won from 9 to 10 p.m. Diana cratered with 18-to-49-year-olds, though, luring just 16,036 of ‘em. It was beaten by everything except NBC’s 9 p.m. episode of Shades of Blue in the Big Four broadcast network universe. Fox4’s 9 p.m. local newscast was the No. 1 performer with 48,107 viewers in this key demographic. On Friday, prime-time’s top draws were the season finale of CBS’ Blue Bloods in total viewers (239,946) and the network’s Hawaii Five-0 in the 18-to-49 realm (41,692). Here are Friday’s local news derby results for the seventh weekday of the May “sweeps” ratings period. It was a day of sweeps within the sweeps. NBC5 nipped CBS11 for the most total viewers at 10 p.m. and edged Fox4 for the top spot with 25-to-54-year-olds (main advertiser target audience for news programming). Fox4 had twin wins at both 6 a.m. and 6 p.m. NBC5 ran the table at 5 p.m.
It’s not unusual for TEGNA8’s newscasts to rank first at 10 p.m. in total D-FW viewers. But it’s been a much tougher sell with the key news demographic, 25-to-54-year-olds. The station altered that course -- at least on Wednesday and Thursday -- with late night sweeps in both demographics despite less than stellar lead-ins from ABC’s 9 p.m. dramas. On Thursday, ABC’s The Catch ran last in both audience measurements. On Wednesday, Designated Survivor was third in total viewers and second among 25-to-54-year-olds. These are just two nights and the May “sweeps” have a long way to go. But TEGNA8 is on the right course, at least from this perspective, with a steadier diet of longer-form feature stories billed as “Originals.” It’s an effort to differentiate and stand out from all the same-old, same-old. Reporter Kevin Reece, hired in September of last year, excels at these kinds of stories, and TEGNA8 is making good use of him. So we’ll see if viewers in fact are starting to take long-term notice of TEGNA8’s more textured efforts in the key 10 p.m. slot. In Thursday’s prime-time Nielsens, CBS’ 7 p.m. new episode of The Big Bang Theory again led all programming in both total viewers (334,471) and 18-to-49-year-olds (109,041), the key demographic for entertaining programming. Wednesday was paced by Fox’s Empire, which drew 232,675 total viewers and 89,799 in the 18-to-49-year-old realm. Here are the other local news derby results. Wednesday -- NBC5 and Fox4 shared the spoils at 6 a.m., with the Peacock narrowly winning in total viewers and Fox4 edging NBC5 with 25-to-54-year-olds. NBC5 had the most total viewers at 6 p.m. while Fox4 and CBS11 tied to the top spot among 25-to-54-year-olds. The 5 p.m. firsts went to TEGNA8 in total viewers and Fox4 in the 25-to-54 demographic. Thursday -- Fox4 had twin wins at 6 a.m. TEGNA8 led in total viewers at both 5 and 6 p.m., but NBC5 took the 25-to-54 crowns at both hours. The Press Club of Dallas’ new group of 12 North Texas Legends includes (from top left clockwise) Janet St. James, Dale Hansen, Tom Joyner and Norm Hitzges. Induction ceremony is Saturday, June 3rd. A quartet of on-camera luminaries and a trio of radio standouts are among the dozen new North Texas Legends being honored next month by the Press Club of Dallas. Tickets are now on sale for the seventh annual event, being held on Saturday, June 3rd at the historic downtown Dallas Sixth Floor Museum. This year’s ceremony includes an inaugural posthumous induction, with D-FW’s first television meteorologist, Harold Taft, being honored for a 42-year stint at WBAP-TV, which later became KXAS-TV and now is billed as NBC5. Taft died of cancer on Sept. 27, 1991, shortly after his last weathercast on Aug. 30th of that year. His son, Rafael Taft, now a Grand Prairie police officer, is scheduled to induct him. 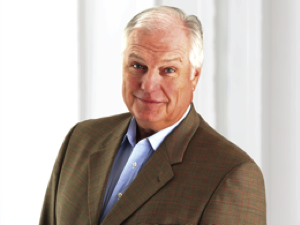 The TV contingent also includes three WFAA stalwarts -- sports anchor Dale Hansen, retired investigative reporter Byron Harris and former medical reporter Janet St. James, who is now assistant vice president for strategic communications at Medical City Healthcare. Country and western radio’s “Midnight Cowboy,” Bill Mack, who early on dubbed Taft “The World’s Greatest Weatherman,” is a part of a radio contingent that also includes nationally famous “fly jock” Tom Joyner and D-FW sports talk dean Norm Hitzges. ***Mike Blackman, who was the longtime executive editor of Fort Worth’s Star-Telegram. ***Bill DeOre, the former featured editorial and sports cartoonist for The Dallas Morning News. ***Yolette Garcia, former award-winning producer at KERA-TV and now an assistant with Southern Methodist University. ***John Jenkins, recently retired as news operations manager at NBC5 after breaking into television as one of D-FW’s first African-American photographers at both KDFW-TV and WFAA-TV. ***John Lumpkin, longtime Associated Press bureau chief in Dallas before becoming instrumental in launching and sustaining the Bob Schieffer School of Journalism at TCU. Last year’s event was completely sold out, and capacity at the Sixth Floor Museum is restricted to 225 because of fire marshal restrictions. All admissions ($25 for Press Club members and $30 for non-members) include food, beer, wine and soft drinks at an opening reception scheduled to start at 6 p.m. Induction speeches will begin around 7 p.m., with Harold Taft’s son and all 11 living Legends confirmed as attendees. Note to readers: Your friendly content provider is a second-year Press Club of Dallas board member and co-chair of this year’s Legends event. Local Nielsen ratings snapshot (Wed.-Sun., April 26-30) -- delfated ratings for NFL draft on opening night of May "sweeps"
The NFL’s annual meat market, which started Thursday, again coincided with the first night of the May “sweeps” ratings period -- as it did last year. Otherwise there was no comparison. The first round of the draft got sacked in the D-FW Nielsen ratings compared to 2016’s picks and pans. ESPN, barely removed from a firing squad that took out 100 employees earlier in the week, averaged 174,506 viewers while the NFL Network pulled in 58,169. Last year’s totals were 240,802 viewers for ESPN and 99,154 for NFL Net. The draft also took a big hit in the advertiser-prized 18-to-49-year-old demographic. ESPN averaged 80,178 viewers for its coverage, down from 152,434 last year. The NFL Net drew 25,657 compared to 47,636 last year. In football-crazy North Texas, these are pretty remarkable downturns. Thursday’s biggest overall ratings draw, CBS’ The Big Bang Theory, had 298,115 total viewers and 96,213 in the 18-to-49 realm (second to the entire combined draft averages on ESPN/NFL Net). OK. let’s jump to the most recent D-FW numbers -- for Sunday night. CBS’ 7 p.m. episode of NCIS: Los Angeles led all prime-time attractions with 276,302 total viewers while NBC’s Little Big Shots and Chicago Justice and ABC’s America’s Funniest Home Videos shared the 18-to-49-year-old lead with 57,728 viewers apiece. Friday’s top draw again was CBS’ Blue Bloods with 232,675 total viewers; NBC’s Dateline drew the most 18-to-49-year-olds (44,899). On Wednesday, Fox’s Empire led in both ratings measurements with 254,489 total viewers and 80,178 in the 18-to-49 demographic. Here are the Wednesday-Friday local news derby results. Wednesday -- On the eve of the May sweeps, NBC5 and TEGNA8 tied for the most total viewers at 10 p.m., but Fox4 won among 25-to-54-year-olds (main advertiser target audience for news programming). Fox4 also swept the 6 a.m. competitions and NBC5 did likewise at 5 p.m. The 6 p.m. firsts went to the Peacock in total viewers and Fox4 with 25-to-54-year-olds. Thursday -- TEGNA8 notched the first 10 p.m. sweeps win in total viewers and tied NBC5 for the top spot with 25-to-54-year-olds. Fox4 scored twin wins at 6 a.m. and NBC5 again swept the 5 p.m. competitions. NBC5 and TEGNA8 shared the 6 p.m. lead in total viewers while Fox4 won outright among 25-to-54-year-olds. Friday -- NBC5 ran the table at 10 p.m. and Fox4 notched another pair of 6 a.m. wins. TEGNA8 continued to make some early morning noise in the early going of the sweeps by placing a solid second in both ratings measurements. On Thursday, TEGNA8 also ran second in total viewers while tying NBC5 for the runner-up spot with 25-to-54-year-olds. TEGNA8 won in total viewers at both 5 and 6 p.m. The 25-to-54 golds went to NBC5 at 5 p.m. and Fox4 at 6 p.m.